Brock Lesnar will not be returning to the cage this year after undergoing major surgery Friday at the Mayo Clinic. The former UFC heavyweight champion, who pulled out of his upcoming #1 contenders fight at UFC 131 a couple of weeks ago due to a second attack of diverticulitis, had almost a foot of his intestines removed according to UFC President Dana White. “He said he's a little sore, but the operation was a huge success," White told fans during the broadcast of UFC 130 last Saturday. Lesnar, who originally contracted the disease in 2009, believed he had the disease in check thanks to a change in diet, but began to feel weak about a month ago while preparing to fight Junior Dos Santos on June 11. 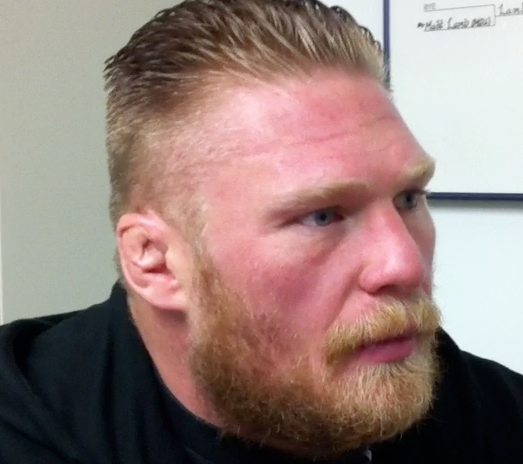 White said he is hopeful that Lesnar can return to the Octagon by early next year. Lesnar just released his new autobiography “Death Clutch” last Wednesday, there has been no word on what effect the surgery will have on any book tour engagements.